The picture shows the H.A.R.M. E-Drive chassis with the long wheelbase of 535mm in ready-to-run equipment with large battery for 30min driving time in the optional battery box. 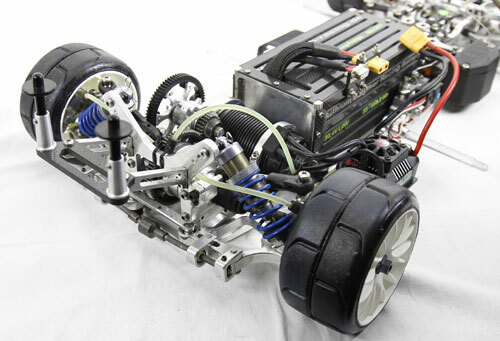 The E-Drive chassis is supplied as a "rolling chassis". the complete chassis is pre-assembled with hydraulic disc brake front and rear and Big-Bore shock absorbers (without shock springs). 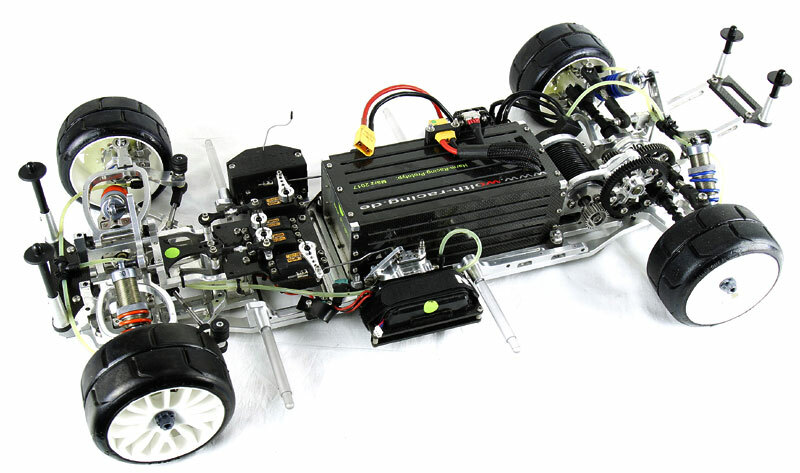 All the linkage rods and the corresponding screw connections, a detachable front bumper, receiver box, carbon holder for the receiver battery and other small parts are included in the delivery. For the driving battery a carbon plate is delivered as standard. The battery box for the large driving battery, which allows a travel time of 30min is available as an optional extra. The battery plate as well as the optional battery box is mounted on four vibration mounts. 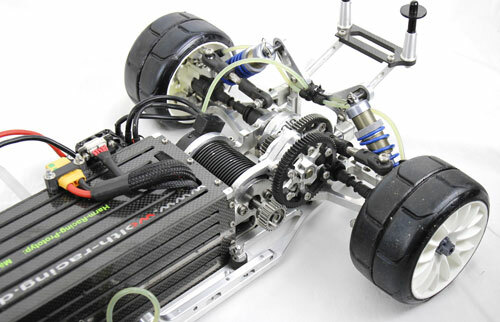 This allows the chassis to work ("flex"). The H.A.R.M. 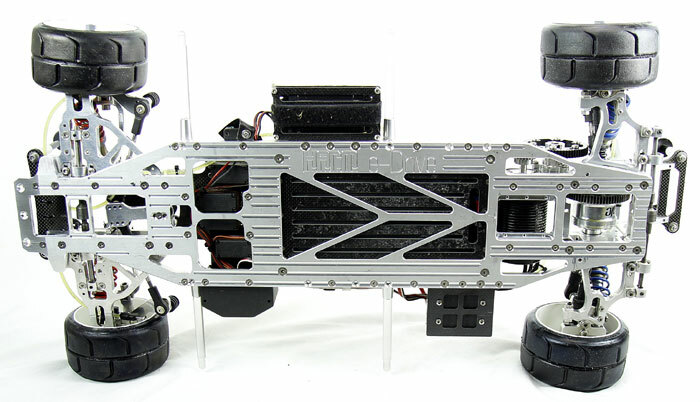 E-Drive chassis has the same adjustment options as SX-5 Chassis. Camber, caster, roll center, toe-in, hardness of the stabilizers and much more. The established hydraulic disc brake is installed as standard on the front and rear axles. The capacity of the battery is of course decisive for the travel time. 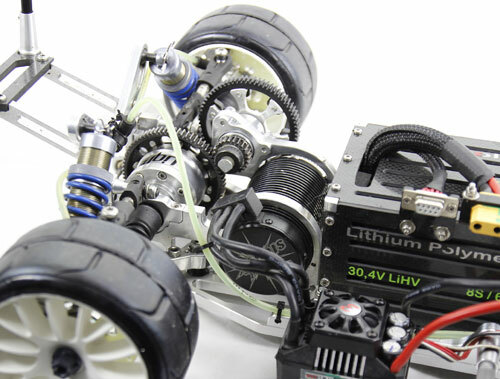 The driving battery 30,4V / 670Wh (22000mAh) used by us were specially set-up and allow a driving time of more than 30min. With standard battery 2 x 4S 10000mAh the driving time is approx. 12-14min. The drive components used have proven to be very good. No additional cooling fans are required. For security reasons, we use an additional receiver battery. Attention! The H.A.R.M. 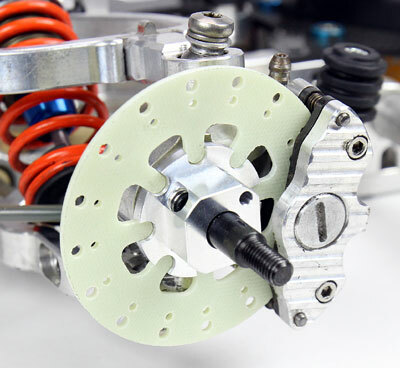 E-Drive chassis is designed for the installation of the Tenshock X501S engine! The H.A.R.M. 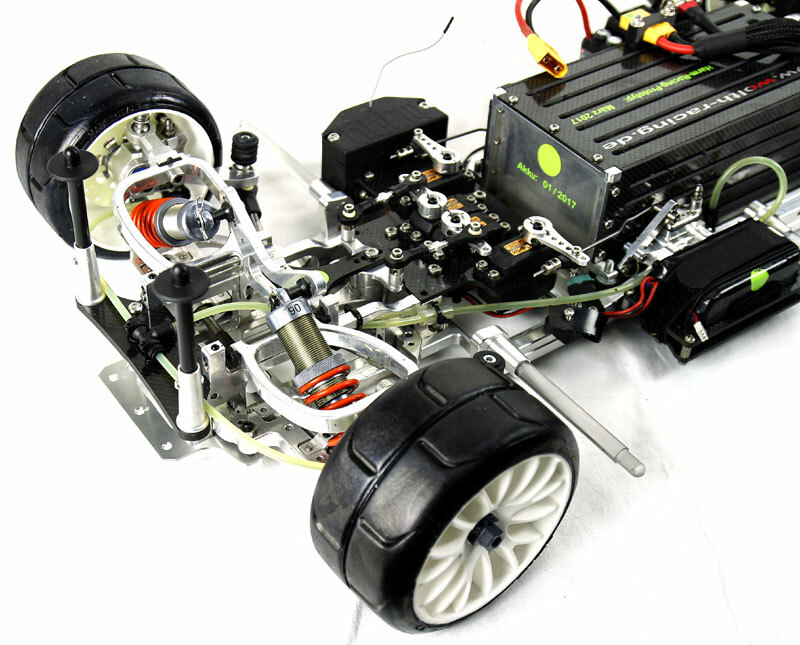 E-Drive chassis weighs 11500g with the large driving battery and additional receiver battery. With standard battery 2 x 4S 10000mAh the weight is apx. 9700g. All CNC milling parts of the H.A.R.M. 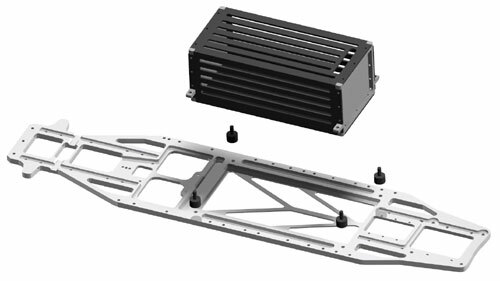 E-Drive chassis are made of the very high-quality aluminum 7075.